Sketches of Canada for November 24th! He has been described as the greatest Canadian Prime Minister….that never was! Sir John Thompson is sworn in as Canada’s 4th prime minister, November 24th, 1892. 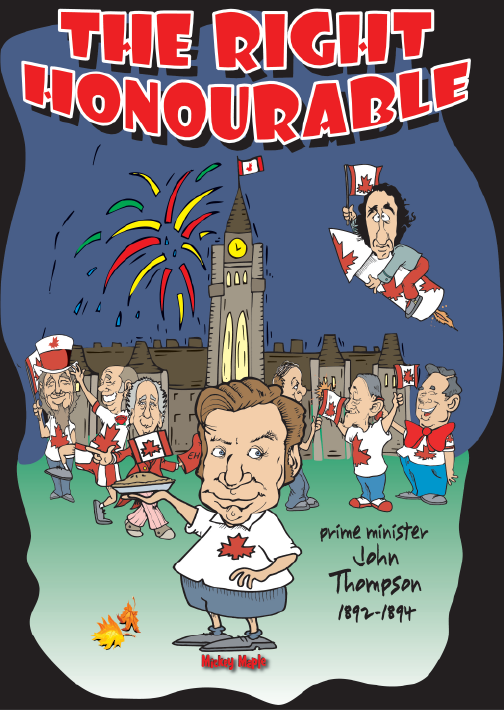 This Canadian History for Kids, Sketches of our Canada, looks at the career of John Thompson. This Canadian History for Kids article begins when Sir John Sparrow David Thompson was born in Halifax, Nova Scotia, to John Sparrow Thompson and Charlotte Pottinger, he was of Irish descent. Some sources say he was born on November 10, 1845, others say 1844. Thompson was called to the Nova Scotia Bar in July 1865, and from 1878 to 1882 served as Attorney General in the provincial government of Simon H. Holmes. He briefly held the office of Nova Scotia premier in 1882, but his government was defeated in that year’s election. Thompson was always a hesitant politician. 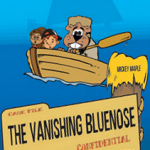 This Canadian History for Kids article continues after his resignation from government when Thompson was immediately appointed to the Supreme Court of Nova Scotia by the Prime Minister of Canada, Sir John A. Macdonald. In this role, he was instrumental in founding the Dalhousie Law School in 1883. He taught law courses at Dalhousie in its early years. Known as a master of government business in the house and a key strategist in Canada-US talks, Thompson seemed the reasonable heir to John A. Macdonald. However, he refused the prime ministership when Macdonald died in 1891, believing that his religion would create divisions within the Conservative party. Thompson only became prime minister on November 24, 1892 because Abbott resigned. Thompson’s most important contribution as prime minister was the Criminal Code of 1892. The Conservative Party majority increased under his leadership, but his government was unable to solve the most critical issue of the day, the Manitoba Schools Question. John Thompson died suddenly of a heart attack at Windsor Castle in December 1894. His death robbed the Tories and Canada of a passionate nationalist and a potentially great prime minister. Thompson set an example of unmatched personal honesty, modesty, and selfless devotion to public service. Underneath his often stern public image, Thompson was a loving father, husband, and friend.